Tom Lounsbury has been a freelance outdoor writer/photographer for more than 32 years. He has written a weekly outdoor newspaper column for more than 31 years per the Huron Daily Tribune and The Tuscola County Advertiser, as well as he has written regularly for Woods – N – Water News since that publication’s early days, and has had a weekly radio show (Tom Lounsbury Outdoors – WLEW, Bad Axe) now for over 10 years. He also has had articles in other outdoor publications. Tom joined MOWA in 1985 and has served on the Board and is a past president, and is presently co-chairman of the Nominations Committee. He has received several MOWA Craft Awards. A lifelong resident of the “Thumb”, Tom is the 4th generation to own the family Centennial farm, which he has the majority of in conservation programs (he was the Tuscola County 2007 Wildlife Conservationist of the Year). He got his start in the outdoors when his mother took him on a pheasant hunt (he was the “pooch”) when he was 3 years old and he has been pursuing local wild pheasants ever since, as well as raising and training dogs for the purpose. Tom’s favorite outdoor passions are those that he can pursue locally and he is very pleased with what Michigan has to offer statewide. Tom is fluent with firearms (rifles, shotguns, handguns and muzzleloaders) and archery (primitive, traditional and compound bows, as well as crossbows). 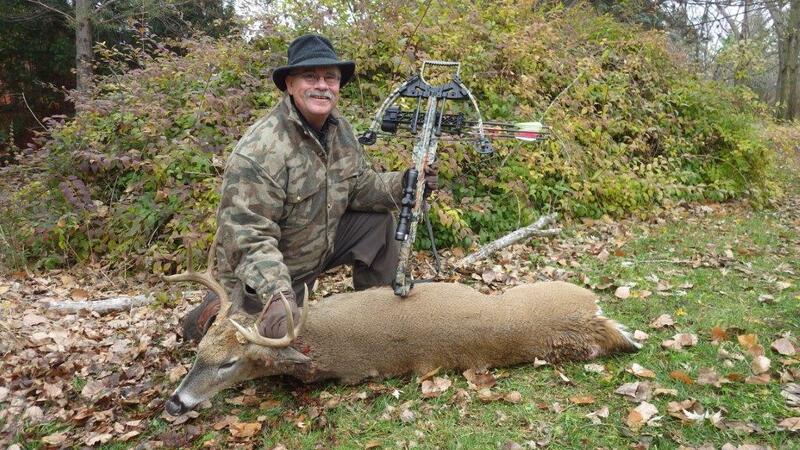 He is also a Hunter Education Instructor and firmly believes in promoting the outdoors for the youth.